Secret World of Arrietty, The (film) Residing beneath the floorboards are little people who live undetected in a secret world. Arrietty, a tiny but tenacious 14-year-old, lives with her parents in the recesses of a suburban garden home, unbeknownst to the homeowner and her housekeeper. Like all little people, Arrietty remains hidden from view, except during occasional covert ventures beyond the floorboards to “borrow” scrap supplies like sugar cubes from her human hosts. But when 12-year-old Shawn, a human boy who comes to stay in the home, discovers his mysterious housemate one evening, a secret friendship blossoms. 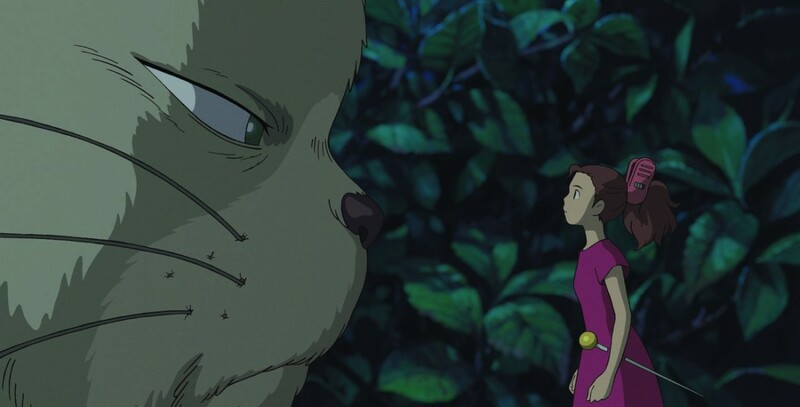 If discovered, their relationship could drive Arrietty’s family from the home and straight into danger. Directed by Hiromasa Yonebayashi, with an English language version directed by Gary Rydstrom. Released on February 17, 2012, after an original release in Japan on July 17, 2010. Voices include Bridgit Mendler (Arrietty), Will Arnett (Pod), Amy Poehler (Homily), Carol Burnett (Hara), David Henrie (Shawn), Gracie Poletti (Aunt Jessica), Moises Arias (Spiller). 95 min. Based on Mary Norton’s acclaimed children’s book series The Borrowers. The original version, produced by Hayao Miyazaki and Keiko Niwa at Studio Ghibli, was known in Japan as Kari-gurashi no Arietti.